Speaking to Sporting News, WWE RAW Superstar Nia Jax opened up on a myriad of topics ahead of her matchup at Fastlane, where she and Tamina Snuka challenge for the WWE Women's Tag Team Titles. Most prominently, Jax expound upon the accidental 'shoot' punch she landed on Becky Lynch, which resulted in the latter suffering facial injuries as well as a concussion. It was on the episode of Monday Night RAW before the Survivor Series PPV last year that Nia Jax accidentally landed a shoot punch on Becky Lynch's face -- downing the latter and causing facial injuries as well as a concussion, which kept Lynch out of action for several days. Jax's aforementioned botch led to severe backlash from a vast majority of professional wrestling fans, as well as experts over the world. Regardless, the botch was gradually incorporated into the WWE's storylines, and was eventually made a part of Jax's on-screen character. 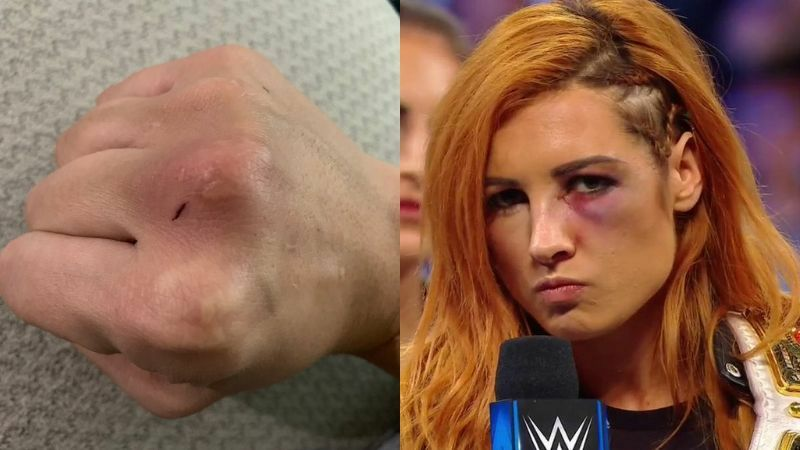 Although behind the scenes, Nia Jax is said to have sincerely apologized for legitimately injuring Becky Lynch; publicly, Jax has continually taunted Lynch by pointing out how easily she hurt the latter with the infamous punch to the face. "Obviously, we learned that I can't throw punches. I'm just kidding. There's always an opportunity, whether it's good or bad. If somebody gets hit, that happens in a contact sport. It happens. So you just have to be able to look at the positives and take it and run with it. I just realized that everything is an opportunity no matter what happens." Furthermore, Jax asserted that while people initially freaked out and were quite irate with her, the issue cooled down and she eventually became one of the top heels in WWE. Moreover, Jax also emphasized that she'd love for the female WWE Superstars to headline WrestleMania 35, and close out the show this year. She added that the male talent backstage have also been lending a considerable amount of support for the women of WWE to potentially main-event 'Mania this year. The WWE has confirmed Nia Jax & Tamina vs. The Boss 'n' Hug Connection (Sasha Banks & Bayley) for the latter team's WWE Women's Tag Team Championship at WWE's Fastlane PPV on March 10th. Meanwhile, Becky Lynch will face Charlotte Flair at Fastlane in a matchup where if Lynch wins, she'll be added to the Flair vs. Ronda Rousey RAW Women's Championship Match at WrestleMania 35. On the contrary, if Lynch loses, Flair will face Rousey for the latter's RAW Women's Title in a singles match at WrestleMania 35 on April 7th. Meanwhile, Rousey seems to have some rather intriguing developments in store for her after WrestleMania 35. What are your thoughts on Nia Jax's statements? Sound off in the comments! Opinion: What if the whole Nia Jax attacking Becky Lynch was actually a setup for Wrestlemania?